I recently published a blog post Should you Renovate, Rebuild, or Sell your House? and received a very positive response from my blog readers. One of the feedback I received was putting the information together in an infographic for easy consumption. Readers feedback is paramount and I am happy to add that infographic to the present post. Let me know your views. Should you Renovate, Rebuild, or Sell your House? 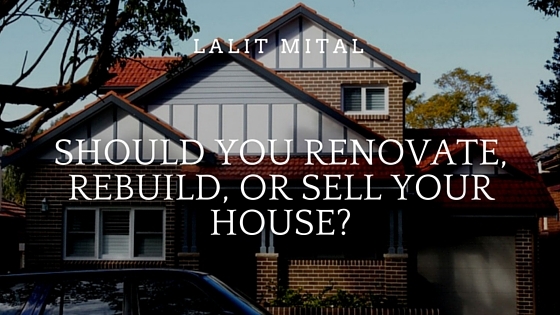 Almost every house owner, sometime in his life, finds himself in the need of having to answer this question – whether to renovate or rebuild or totally sell the house and move to a new location. While many factors go into taking this decision and you realize there is no clear-cut solution any way, here we help you reach the conclusion on the basis of your priorities, requirements, available funds, and your own perception of value for money. This article is an adaptation of the Q&A sesssion the author has with the show host Ms Kumud Merani on SBS Radio in the “Smart Living” series. The topic of this particular Q&A was “Should you renovate, knock down or rebuild” and it was hosted on 19 May 2016. Attaching here the podcast of the talk. This article is the second in the series. The Important considerations for purchasing your first home was published a fortnight ago. Keeping or Selling the House? When it comes to moving to a new place or doing the existing dwelling, the decision is purely personal and is as much an emotional one as a financial and practical one. It is, therefore, recommended to look into your needs and your family’s comfort while choosing to move or renovate the house you live in. For example, if your family members have their centers of work and education close by and you have developed a liking for the place as you have been staying for long, it is wise to either renovate the house or knock it down and rebuild it. However, if you are any way not satisfied with your current location because it is noisy or you have a small property, this can be the right time to make a move. Moreover, you can simply be the kind of person who would not like to invest a lot of efforts or time and take the pain of redoing the house. Due to your busy schedule also, you would like to consider just selling the existing house and buying a new one. Renovating or Rebuilding the House? If your home has a decent structure with the layout that has all basic features like fireplace, spacious rooms, and high ornamental ceiling, there is no need for KDR. Renovating the house will give you an option of considerably altering the house to suit your requirements. Also, KDR model requires disrupting the building which would mean new property rules will come in play in case the new building is made. You will also have to bear the fees and will have to take approvals from council and gas, water, and electricity permits. Winner: Renovation. While the decision of relocating or rebuilding or renovating your house can be tricky, you know you do not have to do it alone. Keep in mind the above factors and sit down with your family to take a better decision. 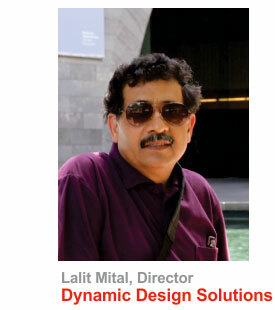 Also, consult your architect to take a better and more practical decision. Also, while redoing your house, you might be concerned with either extending on ground floor or going for first-floor extension. This can also be taken care of by your architect who will see how much extra space your plot has and if slope of land allows for first-floor extension. It also depends on your lifestyle. So, for example, you like view from first floor and want a separation, first-floor extension can be considered. If you have any further questions please feel free to make an enquiry with me on the website. Alternatively you can call me on 0411 058 064.